A ball python, cornsnakes, a tarantula, an iguana, bearded dragons, giant snails, giant stick insects, and giant centipedes, baby giant tortoises, a hedgehog, guinea pigs, rabbits, a duck, mice and assorted hamsters. The kids were able to hold all of the above, if they wanted to, and so were some of the parents. Wendy gave the kids lots of information about the animals and a wonderful time was had by all. Compton Dando put on a Village Day on the 4th of July. I had a chance to go down and have a look and take some photos. I particularly enjoyed the trip up the church tower, seeing the bells, the clock mechanism and the stunning view from the top. There is a Pop Up Museum every Sunday 2-5 over the summer months in St Mary's Church Compton Dando. Come along to view the changing items and have a cup of tea and a piece of cake as well. If you would like to, please bring an item of interest, that fits into a shoe box, and we will put it on display. A successful Tea Dance was held in the Parish Hall on Saturday 11th April. The event was hosted by ladies of the Compton Dando Community Association who served traditional cakes and sandwiches. Dance music was selected and recorded which added to the flavour of the afternoon. £155 was raised towards CDCA funds. Thank you to everyone who supported this event. Monday 16th March saw another craft day, organised by Harriette Dottridge. 17 crafters and visitors came for the day to demonstrate or have a go at some of the following: spinning, weaving, bead work, Dorset buttons, embossing, soft toy making, crochet, felt making and glass work. A small profit of £25 was made which will go to CDCA funds. Sunday 29th March was a blustery and wet morning. As they say March came in like a lamb and is maybe going out like a lion. 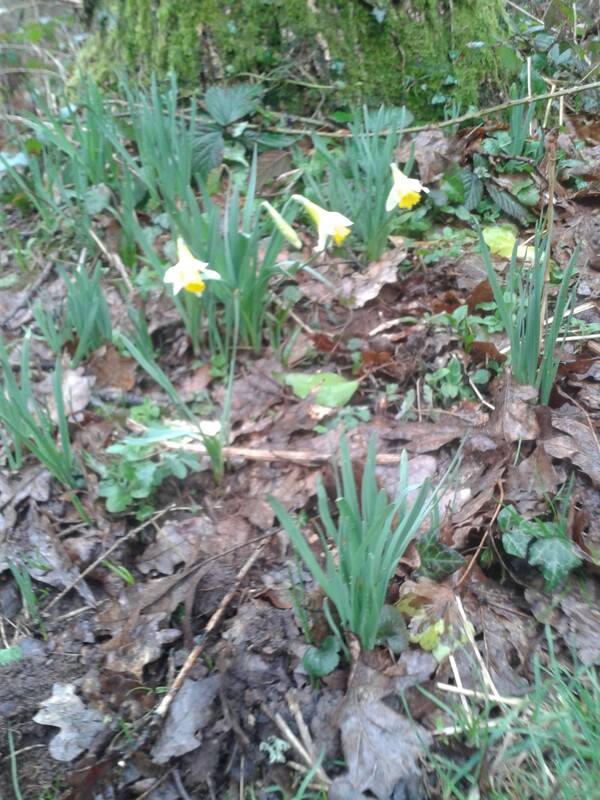 We walkers were appropriately dressed and had a very pleasant, if blustery and sometimes wet, walk through Lord's wood where the wild daffodils are in full bloom. We also inspected the work that has been going on in the woods to open them up and to increase the indigenous species of trees and to clear some of the streams. We returned, much invigorated, to have a ploughman's lunch in St Mary's. As you can now see, as you are here, Compton Dando has a new website. If anything is not working or you have a great idea please fill out the form on the right and let us know.